Hello, everybody! I am Yuan You, or you can call me Steven. I come from Shanghai, China. As a freshman of the Ohio State University, I am so excited by studying here. My major is Physics because it is my favorite subject. Since I am an optimistic person, I attended some activities organized by upperclassmen from OSU and made many friends. Besides, some of them became my roommates. My roommates are all Chinese because I want to use this way to alleviate my homesickness and find some recognition of cultural identity. Fortunately, I was born in a big city, Shanghai. So my senior high school life is colorful. There is a soccer field in my high school so almost all my classmates love soccer. Through my hard work, I was chosen to be in our school team and won 2 championships in my high school life through all team members’ hard work. 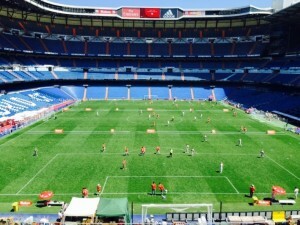 My favorite soccer team is Real Madrid, and I went to Madrid, Spanish last summer. I visited El Estadio Santiago Bernabeu, the host field of Real Madrid and took many photos, also I will see their match in live if they come to China, no matter how expensive the cost is , just because I love them. its environment and weather. I do not like hot days so since Ohio is in the north of United States, the weather should be agreeable with me. From the Internet I found out that OSU is a very large college and buckeyes are friendly. Opening my eyes, training my English community skill and meeting more friends are my major reasons to go to college outside my country. 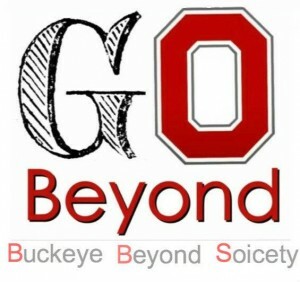 In brief, I am looking forward to my life in OSU and am ready for welcoming my bright new unknown future. This is Maria Zhang, pleasure to meet you! I read your page carefully and I like some of your ideas! I think it’s very awesome to be majoring in physics because I think physics is very hard to study! Physics is the course I did worst in my junior high school and I am still afraid to study it! Because all your roommates are Chinese, I think it’s very important for you to find opportunity to communicate with Americans, and make some Americans friends. I think it’s better for us to involve in their culture and learn something that we don’t before. 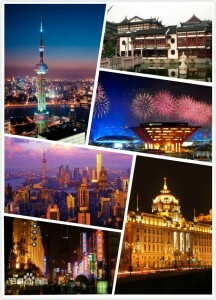 Your pictures of Shanghai is beautiful! I have been to Shanghai once and the most interesting thing I found was that there was a road called Beijing Road! There are also Nanjing Road and others, it’s funny! By the way, maybe you should include the references of your pictures. It can give credit to those who take the pictures! It’s a good page and I really like it! So, when you said that you attended many activities with your upperclassmen from OSU and that all of your roommates ARE Chinese…are you here now? stateside? (It almost sounds like that from the tenses that you are using. I am wondering if you also have watched the Women’s World Cup games and the AmeriCup games in South America. (My wife is from Chile and she is very happy about the results of the latter! I’ve watched the final of Americup!